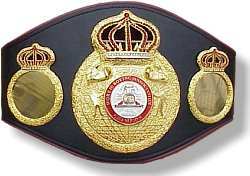 The unification fight between two of the WBA champs at supermiddle, regular king Karoly Balzsay and interim ruler Brian Magee is tentatively set for July 7 in Copenhagen, Denmark, with Danish veteran Mogens Palle, a part of Team Magee, as promoter. However, Universum and Karoly Balzsay have not returned a signed contract inside the 20 days after purse bids as the WBA rules stipulates - the deadline was reached on Sunday. Universum confirms that the contract isn´t signed and says there are some disagreements with some paragraphs in the contract. Palle said earlier today that all was done according to the WBA rules and Pat Magee, manager of Brian Magee (but no relation), have now put the matter in the hands of his attorney. Team Magee won the right to stage the fight with a bid for 287,700 USD May 21.